Gary Clifton Holland, 60, of Silsbee, died Saturday, February 2, 2019. He was born on June 5, 1958, in Beaumont, to Ola Belle and Billy Holland. Gary grew up in Kountze and was a graduate of Kountze High School in 1976. In recent years, Gary made his home in Silsbee. Gary had a unique sense of humor and kept us laughing. 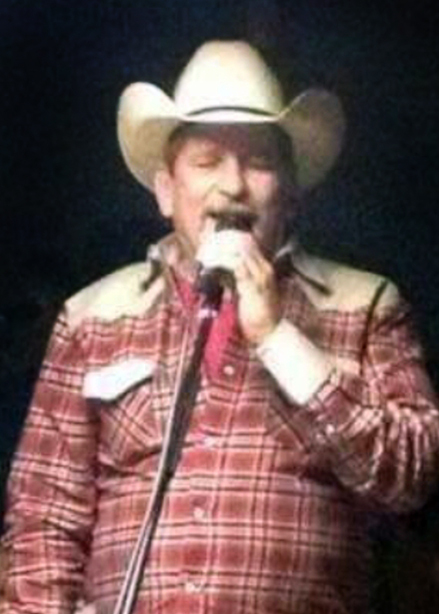 He loved music and especially loved performing country music for his numerous friends. When we were children, we would gather around the piano at Providence Baptist Church, and we would sing for hours from the Heavenly Hymns. That’s where Gary’s love for music began. Gary worked numerous jobs in his lifetime. Gary worked as a pipeline hand; he was a brick layer, a handyman, and many other things. You might say he was a jack of all trades. Gary left his mark in this world. Gary is preceded in death by his father and his sister, Brenda Holland Redd. He leaves behind his mother, Ola Belle Cook of Silsbee; sister, Cindy Henderson and her husband, Lane, of Nome; brothers, Kevin Holland and his wife, Alesia, of Jasper and Roger Holland and his wife, Pam, of Silsbee; five nephews, nieces, and great-nephews; and one great-niece. Serving as pallbearers are Dusty Henderson, Ben Holland, Michael Wayne Redd, Matthew “Hoot” Holland, Hunter Smart, and Coy “BoBo” Smart. A gathering of Mr. Holland’s Family and friends will begin at 1:00 p.m., with his funeral service to follow at 2:00 p.m., Friday, February 8, 2019, at Broussard’s, 490 Cemetery Road, Silsbee, with interment to follow at Holland Cemetery, Kountze. In lieu of flowers, memorial contributions may be made to Faith Family Ministries (General Fund), P.O. Box 2064, Silsbee, Texas 77656. Please be sure to note that it is in memory of Gary Holland and include your name and address so that a letter of thanks can be mailed to you. NO WORDS CAN BE SAID ON HOW I FEEL. WILL KEEP ALL OF YOU IN MY HEART AND PRAYERS. MAY YOU FIND PEACE, STRENGTH AND COMFORT FROM OUR LORD. So sorry to hear about Gary. I know her will be missed. We were all such close cousins growing up. Love to the family. I met Gary years ago singing karaoke. I fell in love with his voice. Heaven gained a beautiful choir member. Condolences to the family. My love and prayers go to his family. Gary you were one of a kind. Even hhough we wasn't related. My son's only spoke of you as Uncle Gary. Taken away all to soon from everyone. Love our bible studies.